I decided I'd make a thread about my pleasant shipping experience as opposed to all the negative ones that this forum often gets. I figured it's the least I could do. 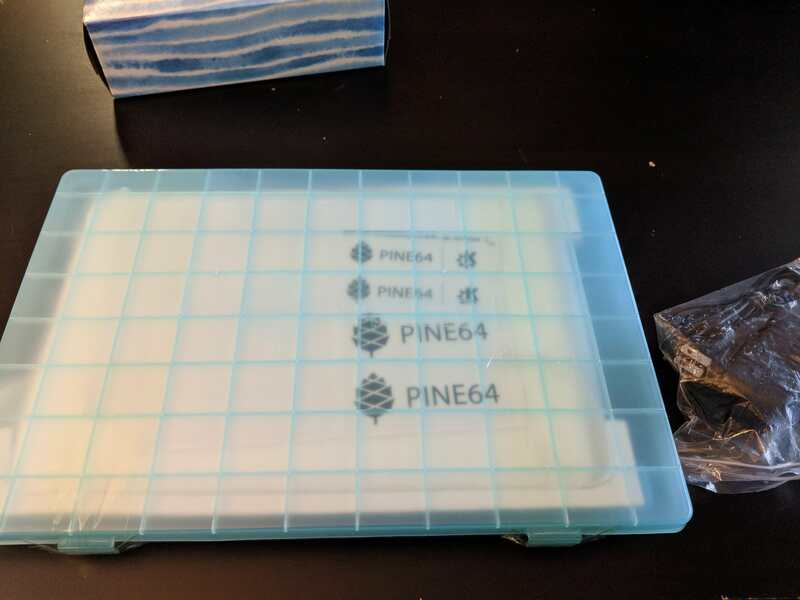 So, I placed my order for a pinebook late september-ish, early october and found out I was moving. This ordinarily wouldn't be a problem but the mail forwarding in my country's postal service (Canada) doesn't work for packages and, in addition, it was being shipped via DHL anyway so there was nothing I could do! In desperation I reached out to the customer service folk via e-mail and they told me that, unfortunately, they could not change my address to a P.O. 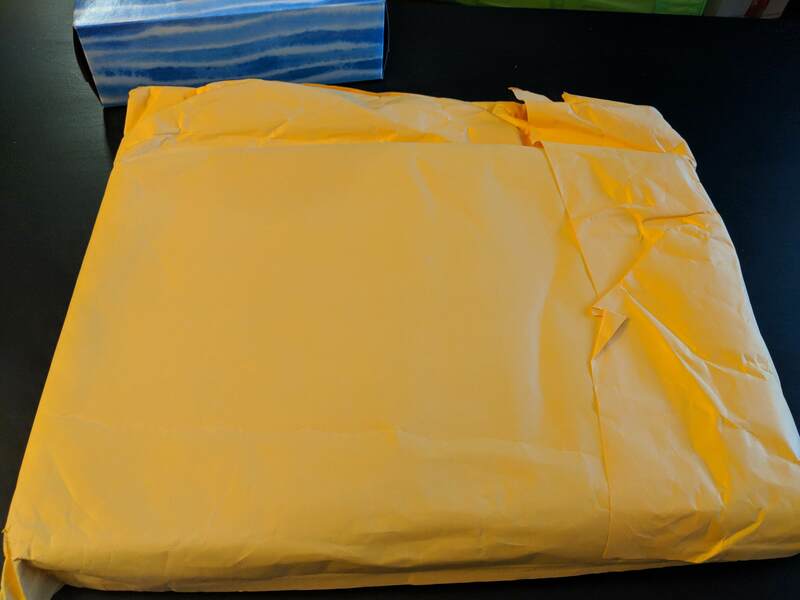 box that I had opened as the package required a signature. Distraught, I explained my situation and they assured me that my package would be coming soon enough and that I would have nothing to worry about. They then went on and explained that they would be shipping them very soon and that DHL would only take a few days to deliver my package. Of course I didn't believe them but I gave them the benefit of the doubt which I'm very glad I did! A few days later I got a text (not an e-mail) with my shipping information and tracking number. Two days later and I'm now exploring my new Pinebook! 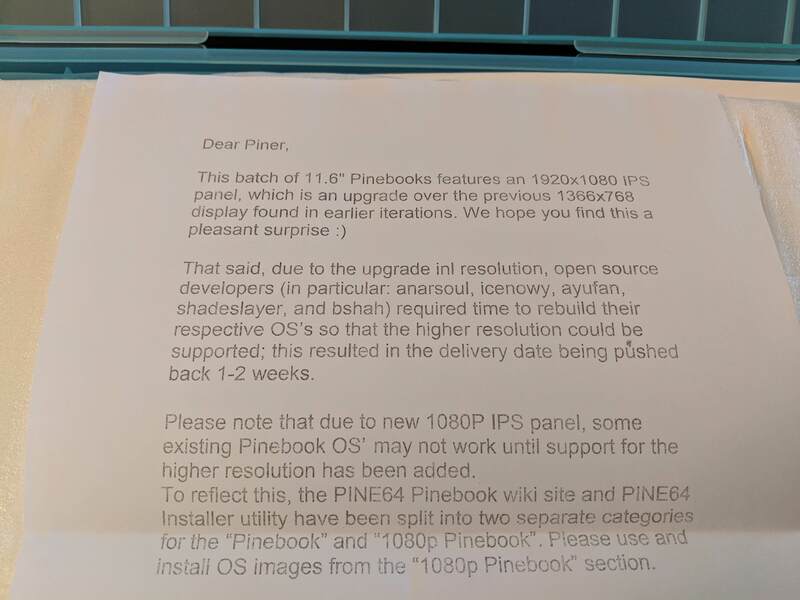 It came with the laptop itself inside of a blue, clear case that protected it during shipping and to my (pleasant) surprise a 1080p screen instead of 1366x768! Not to mention a bunch of stickers to place on things, including the laptop itself. So, that's my experience! I'm very happy with my purchase and I'm glad my patience paid off. :D I'm even writing this on my pinebook now!